2. A mosque will have its own special holiness attached to it. Such as when the faithful believers said: We shall build a mosque where the people of the cave, who left the comforts and convenience of city dwelling and escaped to seek refuge in the harsh desert and cave, in their honour. 3. The first thing the Prophet did after migration was the building of a mosque. 4. More than ten times, the name of the The Holy Mosque1 has been mentioned in the Holy Qur’an. 5. Allahﷻ recognises a mosque as His Own House and the best of people, in other words Prophet (pbuh) Ibrahim (pbuh) and Ismail (pbuh), two significant Prophets, are appointed as its servants. 6. For the purposes of attending a mosque, it has been advised to dress with adornments and beauty (clean/new and ironed clothes). Take your adornment at every place of worship. 7. If a mosque is built with anything other than with the intention of God and obedience, and it becomes a place where the seeds of disunity is sown, then it must be dismantled. 8. The holiness of a mosque is so much so that not just any one can go around building and improving a mosque! It is not for the idolaters to maintain God's places of worship. (Tawbah 9:17). And this issue is specific to God wary and brave believers, whom other than Allahﷻ, are afraid of no one else. 9. Mosques and the rest of the places for the worship of God of Heavenly religions such as Christianity and Judaism (churches and synagogues) are of such value that their protection demands the self-sacrifice. There had been destroyed cloisters and churches, oratories and mosques (Al Hajj 22:40). Should Allahﷻ not allow the brave and revolutionary to prevent unfaithful entering places of worship, every place of worship would be destroyed. 10. The Mosque, and the presence of one in it has its own manners and conditions attached, some of which include not raising ones voice, speaking nonsense, not talking about buying and selling merchandise, or go chasing worldly idle conversations. 11. Each step towards a Mosque has its own reward. 12. Sitting in the Mosque in anticipation for the time of Prayers, has its own reward. 13. A Mosque that does not hold prayers, will complain to Allahﷻ. 15. For the sake of those who are Mosque goers, Allahﷻ will remove the punishment of others. Only he shall inhabit God's places of worship who believes in God and the Last Day, and performs the prayer, and pays the alms, and fears none but God alone; it may be that those will be among the guided. (Tawbah 9:18). The Mosque is an important foundation of worship and society of Muslims. Therefore, not only do the custodians of the Mosque need to be pious and pure, their program be for growth and cultivation, their budget appropriately and jurisprudentially pure, but also the Mosque goers be people of piety and be with Allahﷻ, and be people of respect. Otherwise, if those who build Mosques are tyrants, monarchs, liturgists, be uneducated, fearful and their servants also lazy and overly relaxed, of course Mosques will lose their original intention of being for spiritual prosperity and will remain far from that intention. It could be said: When the Holy Qur’an speaks to the “Children of Adam”, He is addressing all of mankind of all religions and such like. Wealth and sons are the adornment of the present world; (Al Kahf 18:46). So, it could be also concluded that the Ayah (7:31) is suggesting that when we go to the Mosque, we also take along our children and wealth, so that with the wealth, we solve the economic problems of the Islamic society and so that with our children, among Mosques and the Islamic society, problems with upbringing of the future generation is resolved. In narrations, a just Imam of the Mosque, visible adornments, wearing perfume and presentable clothing during prayers, raising the hands during prayers, joining the congregational prayers of Eid (After the Holy month of Ramadhan and after pilgrimage), Friday prayers, are all considered to be part of the realities of adornments. Imam Hassan (pbuh) while in prayers and inside mosques, would wear the best of clothing and state “For certainly Allahﷻ is Beautiful and He loves beauty, so I beautify myself for my Lord”, and would then recite the Ayah mentioned. Allah loves beauty and adornments, for if He did not, he would not have ordered as such - “Take your adornment” – and as Islam is the intuitive religion, and mankind intuitively and naturally loves beauty. With regards to adornments while going to mosques, it is respect towards the worshippers, to worshipping, and is also a cause for practically attracting and encouraging others to attend mosques. For otherwise, the use of adornments and food to attract is natural and intuitive, but under certain conditions such as the presence of the poor and needy, there must be sympathy and empathy towards them. 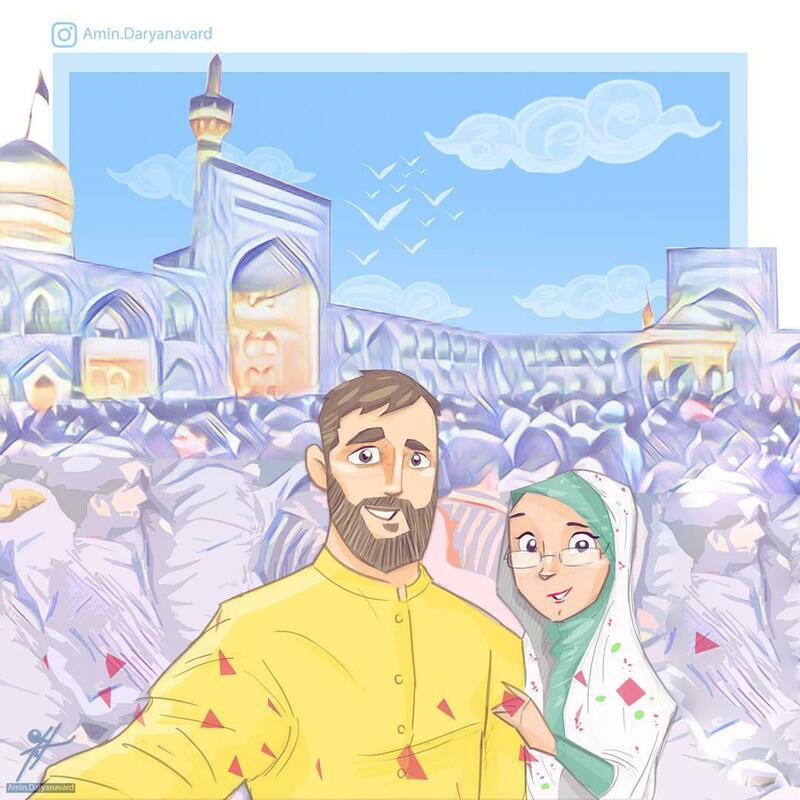 Therefore we read in the narrations that there was a difference in the clothing of Imam Sadiq (pbuh), where the people were living in comfort, as opposed to the society in which Imam Ali (pbuh) resided over, where the community was a poorer community. 1. The mosque, which is a foundation of the Islamic society, must be adorned, beautiful, and be attractive. 2. The best and most beautiful clothing must be for the best of places. 3. Islam heeds not only the inner and heart felt attention towards prayers3, but also towards the outer appearance. Yes, the inner and outer, the worldly and hereafter affairs, are all interlinked in Islam. 4. Adornments during prayers performed singularly are also important, but adornments in congregational prayers has special features. 5. First prayers, then food. The Ayah brings our attention to spiritual nutrition (prayers) before the bodily nutrition (food). 1. المسجد الحرام is mentioned fifteen times. 2. Translators Comment: There are conditions associated to this such as inability due to valid excuse (for example illness).